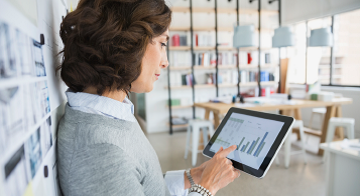 Take control and optimize your printer and MFP environment with easy, secure and mobile-friendly Xerox Workplace Suite and Xerox Workplace Cloud. Boost productivity and control costs with an easy-to-use, affordable management and mobility solution. Two hosting options, each with its own features and licensing specifics. Control and manage your printer fleet while enabling mobile productivity with simplified workflows, convenience and security — for any brand printer, anywhere. Authentication and Access Control—Flexible authentication options to unlock your printer, securely release your pull print jobs and access your MFP Apps. Single Sign On (SSO)—Make use of our single sign-on capability to access your SSO-enabled apps. Conveniently authenticate at the printer once and then securely access all your MFP SSO-enabled apps without having to remember long passwords or perform any additional time-consuming login steps. Accounting, Reporting and Rules—Administrators can set access control and print rules, and closely monitor printing across the organization with our consolidated fleet reporting and accounting capability. Mobile Printing—Print seamlessly from Microsoft® Windows® OS devices and Google® Chromebooks™, Mac® OS, Linux® and mobile app printing for iOS, Android and Windows Surface® tablets. There’s also a mobile printing option utilizing a basic rendering engine. Content Security—The Content Security feature safeguards against data or intellectual property loss by searching all documents copied, scanned or printed through a licensed MFP for specific user-defined terms or text strings (e.g., confidential, internal use only, etc.). If a match is found, an alert — along with job details and content — will be sent to an administrator for follow-up. Xerox Workplace Suite is a complete print management and mobility platform that installs on your server for a private, secure, on-site deployment. It’s licensable as a mobility or print management solution separately or in combination. Choose the features that fit your needs. Authentication made easy: card, NFC, app-based or keyboard or user authentication. Content Security workflow to watch for and report user-defined words or phrases when printed, copied, scanned or faxed. Ideal choice for organizations with limited access to IT support, companies with more than one network or looking to reduce their infrastructure. Authentication made easy. Use any email-enabled mobile device to one single email address for your entire fleet (Xerox Extensible Interface Platform®-enabled devices). 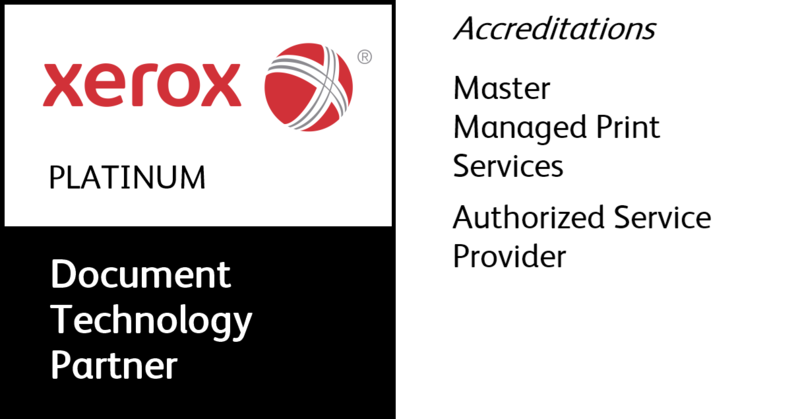 Uses Xerox platform application hosted in Microsoft Azure® for best-of-breed cloud deployment. Take control and optimize your printer and MFP environment with easy, secure and mobile-friendly Workplace Suite and Workplace Cloud. The complete software platform for authentication, security, cost control and mobility. Do you need access control at your MFP device? Workplace Solutions offers flexible authentication options to unlock your printer, customize available functionality, securely release print jobs and access MFP Apps. Workplace Solutions provides single sign (SSO) capability which allows users to conveniently authenticate at the printer once and access all SSO-enabled apps. Apps like, Microsoft® Office 365, Dropbox®, Box®, Google® drive and many more. Do administrators need to monitor or restrict users from printing in color? Workplace Solutions can provide access control and print rules which allows administrators to closely monitor printing across the organization with simple fleet reporting and accounting capability. Do users require mobile printing of Microsoft®Office documents, pdfs, and other documents? Workplace Solutions offers seamless printing from Microsoft® Windows® OS devices and Google® Chromebooks®, Mac® OS, Linux® and mobile printing for iOS, Android and Windows® Surface® tablets. Can users copy, scan or print sensitive or restricted documents? Workplace Solutions Content Security option safeguards against data or intellectual property loss by searching all documents copied, scanned or printed through a licensed MFP for specific user-defined terms or text strings. If a match is found, an alert with job details and content will be sent to an administrator for follow-up.